Kirschbaum Super Smash 18G gives players great feel and spin while still offering the firm response and controlled power. 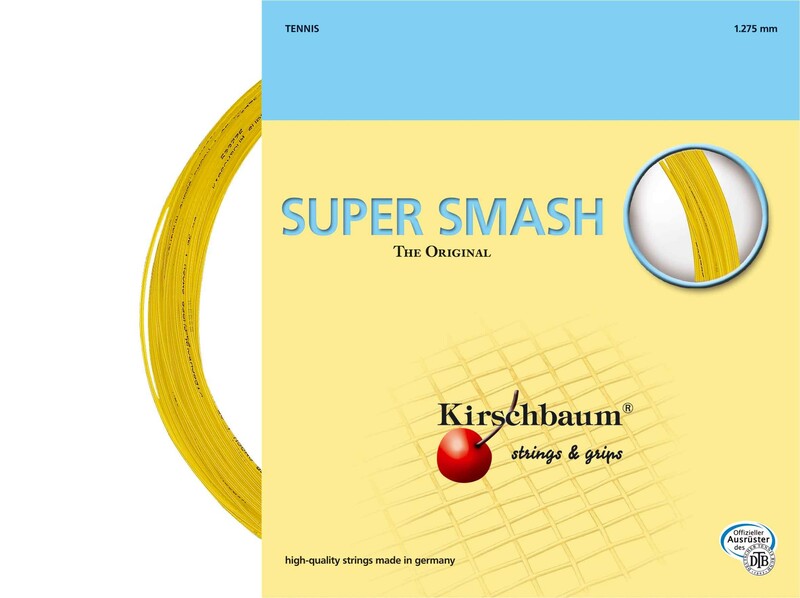 Power players who want the firm feel of poly will enjoy the excellent control and spin they get from Kirschbaum Super Smash 18 gauge. Spin potential and ball feel is noticeably improved over thicker versions of this string. The mono-filament design retains tension well for maximum playability. Kirschbaum Super Smash 18G gives players great feel and spin while still offering the firm response and controlled power.